We have had the “Bomber Gap”, the “Missile Gap”, and the “Cruiser Gap.” None of which were ever real, but they were effective in putting more money into a program. Now we have the “Icebreaker Gap” which is real, but largely irrelevant. Hopefully it will get money for the Coast Guard. 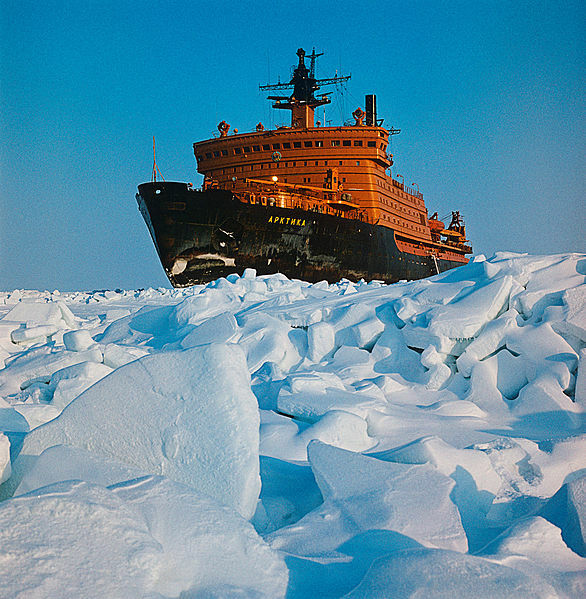 It is certainly true that the Russians have far more Icebreakers than the US, but shouldn’t it enough that we really need these ships, regardless of what the Russians may be doing? I hate to see fear replacing logic, but perhaps the ends justify the means. Is there a military dimension to the Russia/US icebreaker fleet comparison? Certainly neither country is going to invade the other over the poles. We are not likely to see fleets of icebreakers shooting at each other, the Russians already have plenty of missile carrying aircraft and submarines in the Arctic. But we may need to place sensors, bases, or other assets in high latitudes even when others don’t like it. That may be impossible without icebreakers. The US has fewer icebreakers than any other type of critically important vessel. We have far more carriers, SSBNs, destroyers, amphibious warfare ships, underway replenishment ships. The loss of any one of them would not mean the end of a capability. The loss of even one of our icebreakers could. That means we need more icebreakers, and they need to have the ability to defend themselves if necessary. This entry was posted in Antarctic, Arctic, icebreaker by Chuck Hill. Bookmark the permalink. Apnlreptay this is what the esteemed Willis was talkin’ ’bout. Well said Chuck…Merry Christmas and Happy New Year! As of today, Russia has 36 operational icebreakers which are more powerful than the old Wind-class icebreakers (12,000 shp). Seven of them are more powerful than USCGC Healy (four nuclear, three conventional) and, of those, two are more powerful than USCGC Polar Star (both nuclear). 16 icebreakers (four nuclear, 12 conventional) are owned and operated by the state-owned icebreaker companies Atomflot and Rosmorport while the rest are affiliated with various offshore operations in Sakhalin, Kara Sea etc. and while some of them are owned by state-owned companies such as Sovcomflot, they are more akin to Edison Chouest’s Aiviq in terms of primary mission. In addition, Russia has a total of 12 icebreakers under construction (three nuclear and one conventional to Atomflot, one conventional to Rosmorport and seven to offshore companies). As for the Project 23350 class vessels for the Russian Navy, they have about the same icebreaking capability as Canada’s AOPS. Yet, only the latter is ridiculed as a “slush-breaker” in the press. Of course, these ships don’t even have an official icebreaker class (their ice class is only Arc6). Also, to my knowledge the USCG icebreakers do not “keep the navigation lanes open” apart from the McMurdo resupply mission. Of course, I’m not implying that the USCG does not need new icebreakers, but simply stating the current state of worldwide icebreaker fleet. If polar logistics and resupply are the goal, then there are other, cheaper ways to go about than using heavy icebreakers. e.g. 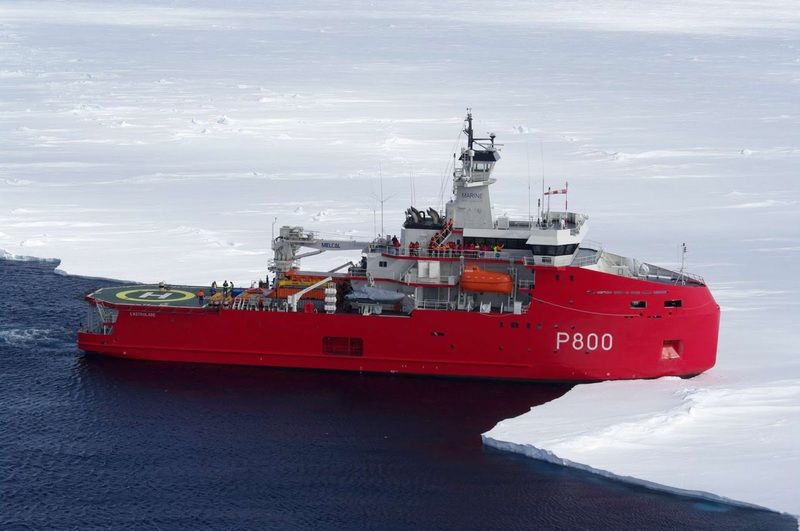 As I noted before the French use a $50M polar logistics vessel (medium icebreaker) to resupply their 2 Antarctic bases (as well as Australia’s Macquarie Island. 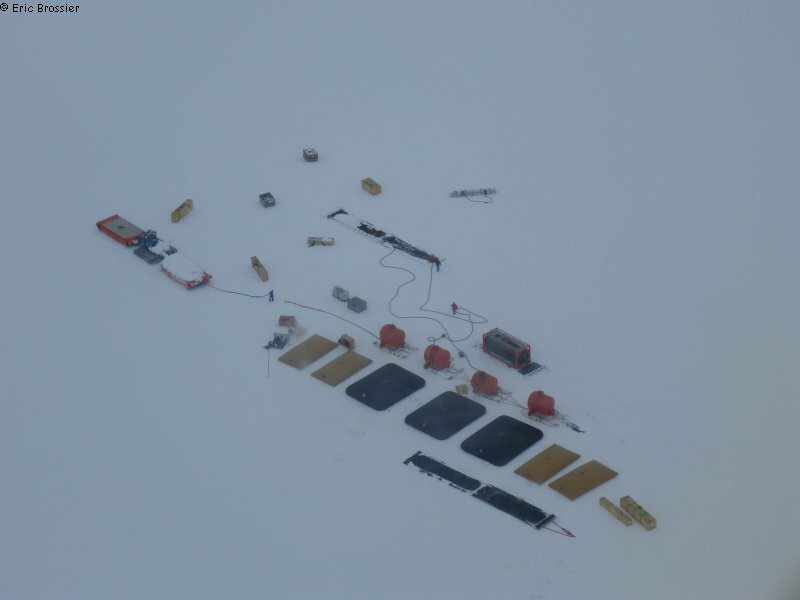 They use helicopters and sleds to transfer cargo from the ice edge up to 750 miles inland, in 1-2 jumps. This includes setting up temporary fuel depots on the ice and long-range resupply convoys (usually with 200-400 tons of cargo each trip).